In the area we now call the Atlantic Ocean. In their ships with painted sails. Across a short strait of sea miles. In all legends from all lands were from fair Atlantis. Knowing her fate, Atlantis sent out ships to all corners of the Earth. I want to see you some day. Girl, I want to see you some day. Donovan (born Donovan Philips Leitch, 10 May 1946) is a Scottish singer, songwriter and guitarist. Initially labelled as an imitator of Bob Dylan, Donovan quickly developed an eclectic and distinctive style that blended folk, jazz, pop, psychedelia, and world music (notably calypso). He has variously lived in Scotland, London, California and Ireland, and currently lives with his family in County Cork in Ireland. Emerging from the British folk scene, Donovan shot to fame in the United Kingdom in early 1965 with a series of live performances on the pop TV series, Ready Steady Go!. Initially signing with the British label Pye Records in 1965, he recorded a handful of singles and two albums in the folk music vein, but after signing a new contract with the US label Epic Records his popularity rapidly spread to the US and other countries. After extricating himself from his original management contract, he began a long and successful collaboration with Mickie Most, one of the leading British independent record producers of the era, scoring a string of hits in the UK, the US, Australia and other countries. His successful records in the 1960s included the UK hits ""Catch the Wind"" and ""Colours"" in 1965, while ""Sunshine Superman"" topped the US Billboard Hot 100 chart the following year, and reached #2 in Britain. Donovan was the first artist to be signed to CBS/Epic Records by then-new Administrative Vice President Clive Davis, who later became head of the CBS Record empire. Donovan and Most collaborated on a series of hit albums and singles between 1965 and 1970. He became a friend of leading pop musicians including Joan Baez, Brian Jones, and The Beatles. He taught John Lennon a finger-picking guitar style in 1968. 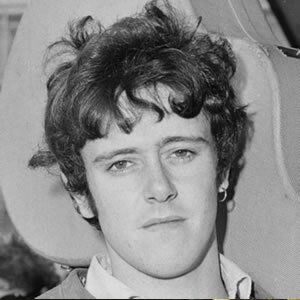 Donovan's commercial fortunes waned after he parted ways with Mickie Most in 1969, and he left the music industry for a time. He continued to perform and record sporadically in the 1970s and 1980s, but gradually fell from favour. His gentle musical style and hippie image was scorned by critics, especially after the advent of punk rock. Donovan withdrew from performing and recording several times during his career, but he underwent a revival in the 1990s with the emergence of the rave scene in Britain. Late in the decade, he recorded the 1996 album Sutras with producer and long-time fan Rick Rubin and in 2004 released a new album, Beat Cafe. Donovan was inducted into the Rock and Roll Hall of Fame in 2012.